License Plate: noun – A rectangular, usually metal plate that bears a sequence of numbers, letters, or both and is issued by a government to identify an officially registered vehicle. There are a lot of hawks where I live. When they’re off duty, I see them soaring majestically over the fields and forests. More often, though, I find them hard at work gathering information for their upcoming collaboration, The Ultimate Guide to Personalized License Plates in North America: A Bird’s Eye View. Perfectly suited to researching this massive joint undertaking, they are unfazed by poor weather as they spend hours perched next to busy roadways atop light standards, or on fence posts and sturdy tree branches, observing the passing traffic. The hawks use their sharp eyesight (suddenly the phrase eagle-eyed seems offensive) to find the funniest and most original plates to include in their collection. (You’ve probably seen them working in your area as part of their attempt to encompass all of North America.) When they find a license plate worth noting they, well, I don’t actually know how they pass along the information; I’m hoping the details of the book’s production will be explained in its prologue. The Ultimate Guide may be the first of many books to be authored by the hawk community. With their wonderful powers of observation, it should be easy for them to produce several volumes just from their notes gathered while researching license plates. Perhaps we will soon see The Bizarre Driving Habits of Humans and Spectacular Crashes Annual. For some lighter reading there could be the anecdotal collections Honestly Officer, the Light Was Yellow and Sign? What Sign? 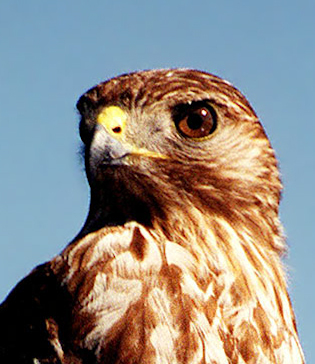 For an overview of everything the hawks have learned, there will be the Field Guide to the Humans of North America. This book — another species’ study of human cultures and interaction — could be a real eye-opener for us. And then, of course, there will be The Secret Life of Humans … you might want to be a little more aware of your open curtains. But first up will be The Ultimate Guide to Personalized License Plates. I admit that it’s unlikely I’ll buy the book, but I’ll definitely borrow it from the local library. It will be very interesting to see the results of this enormous undertaking.